There's atmospherically-dimmed lighting, and then there's lighting so dark you can't really see the person you're dining with. We ponder this conundrum as we're seated at our table in Italian restaurant Cecconi's, which treads this fine line between the two, and after a while we can appreciate the decision. It gives Cecconi's a bustling atmosphere that most restaurants would kill for at 7pm on a Tuesday. Feeding that buzz is a deadly combination: a wide variety of booze and refined Italian dining. We kick off with the former — neither the Negroni nor the Bellini disappoints — before moving onto a selection of starters for the latter; Truffle arancini balls, zucchini fritti and a parmigiana (baked aubergine, mozzarella and tomato). The dishes appear with a speed usually reserved for fast food joints — and dodgy ones at that — but you needn't be nervous. Each is sublime in its own manner, the subtle truffle hint of the arancini deserving of individual praise. It's barely noticable on first bite, but after switching to the other dishes and then circling back to it, the flavour takes centre stage. Our meal goes downhill from this promising start. That's not a phrase you'd usually find in a four-star review, but in this case, it's true — although it's more of a gradual incline that a full-on hill. After an impeccable start with those exquisite starters, we move onto very good main courses. Our Napoli pizza — dressed with anchovies, capers and olives — is laden with salt, and although it's enjoyable, we can't shake the feeling that something is missing, some long-lost ingredient that will kick the dish into the next gear. The mushroom tortelli is again of high quality, although the pasta is too al dente for our liking. When we bite in, it bites back. In opting for the pasta dish, we miss out on one of Cecconi's USPs — its tempting mega sharing bowls. 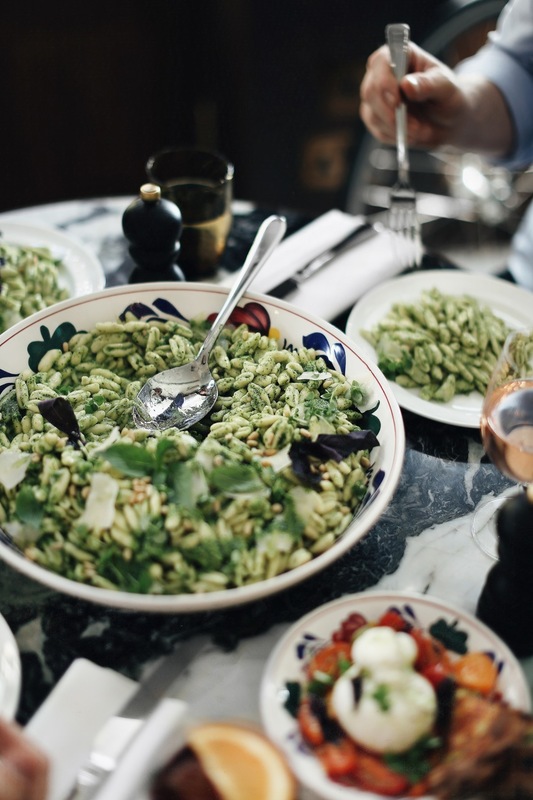 As pasta is dolloped onto our plate, we look over enviously at a large party next to us, tucking into one, and resolve to bring several friends with us on our next visit. Finally we come to the bottom of our not-so-steep slope... dessert. The ratios of the tiramisu are off, with too much cream overpowering the other flavours, and an abundance of cocoa powder dusted on top, which leaves our mouth a bit too dry (that's quickly fixed with a glass of fruity white from the extensive wine list). A scoop of raspberry and white chocolate ice cream is sugary to the extreme, enough to strike fear into the heart of any dentist eating here. Now we're at the bottom of our hill. Except it isn't really the bottom — that's reserved for the vast swathes of mediocre Italian eateries across the world. 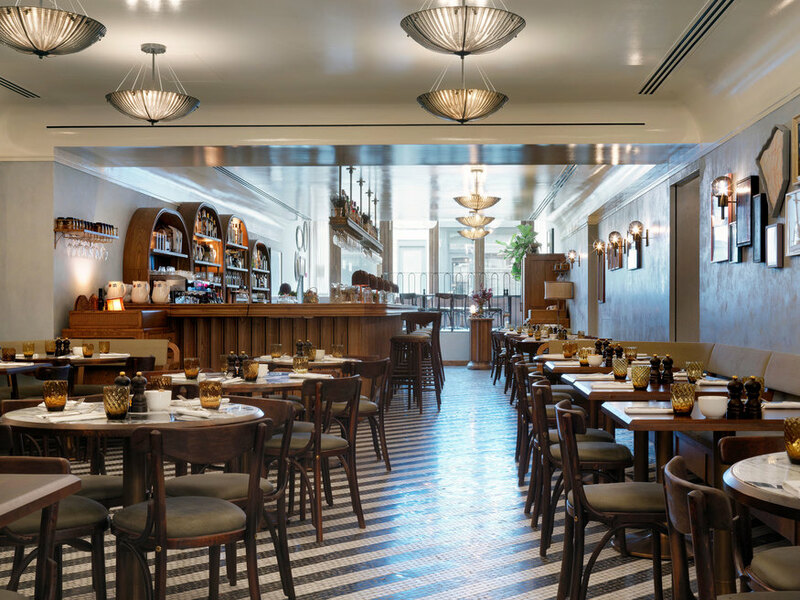 We may have descended a little, but that's only because Cecconi's starts in the clouds. Cecconi's Shoreditch, 56-60 Redchurch Street, E2 7DP.